Instagram is one of the most popular photo sharing social network. When you delete your account, your profile, photos, videos, comments, likes and followers will be permanently removed. 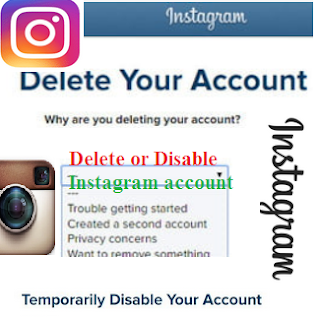 After you delete your account, you can't sign up again with the same username or add that username to another account, and instagram can't reactivate deleted accounts. For security reasons, Instagram can't delete an account for you. You’ll need to be able to log into your account to delete it. You can't temporarily disable your account from within the Instagram app. Select an option from the drop-down menu next to Why are you disabling your account? and re-enter your password. The option to disable your account will only appear after you've selected a reason from the menu. You can't delete your account from within the Instagram app. 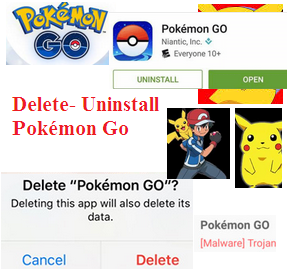 Switch to the account you'd like to remove. If you select Log out of [username], you'll remain signed into your other Instagram accounts. Selecting Log out of all accounts will remove all of the accounts you've added on your phone.